We’ve all heard the old adage, “You are what you eat.” The actual phrase didn't really take hold until the 1920s and 30s when nutritionist Victor Lindlahr, a strong believer in the idea that food controls health, touted it as truth. And today there is a mountain of evidence to suggest that we may indeed be what we eat. Just as adults need a balanced diet of all six nutrients (carbohydrates, fats, water, protein, vitamins and minerals), children and young adults are even more in need of these nutrients to help build healthy bones, increase cognitive functioning and bolster their immune systems. And many of these nutrients are found in whole foods like fresh fruits and vegetables which are now being de-emphasized in school lunches. The National School Lunch Program (NSLP) serves approximately 30.4 million lunches daily to children in more than 100,000 schools across the nation. For many children, the food they get at school is the only healthy meal they will eat all day. By improving school meals, we are providing vital nutrients to growing minds. School lunches matter! Ask any teacher or doctor and they’ll tell you that children who lack proper nutrition have trouble focusing in school. Medical authorities and nutritional experts have documented that children who eat nutritious meals every day tend to excel. Former First Lady Michelle Obama dedicated the majority of her time in the White House to helping improve the quality of school lunches. Her nutritional crusade to combat childhood obesity was a healthy eating initiative that enacted stricter nutritional standards for schools across the nation. Sadly, under the new Agriculture Secretary, Sonny Perdue, there appears to be an effort to roll back this healthy eating initiative. 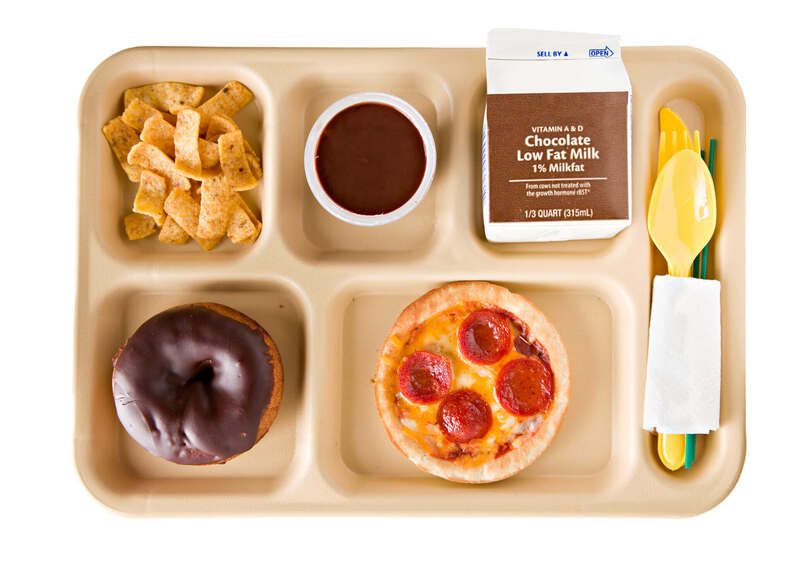 "This announcement is the result of years of feedback from students, schools and food service experts about the challenges they are facing in meeting the final regulations for school meals," Perdue said during a visit to Catoctin Elementary School in Leesburg, VA. Under the changes to the federal nutrition standards, states will now allow some schools to serve fewer whole grains and will be allowed to serve flavored 1% milk rather than only nonfat milk. States may also not require schools to cut salt in meals. This is a troubling development. Consuming foods high in salt on a daily basis could have lasting repercussions on developing brains. For example, one study from 2017 found that long-term high salt intake may cause an increase of systolic blood pressure linked to declined cognitive health in lab rats. It goes without saying that children need the nutrients found in whole grains and fresh fruits and vegetables to support their development and cognitive health. According to the Centers for Disease Control and Prevention (CDC), making healthy foods available in school is essential to optimal student efficacy and may have a hand in improving grades and alertness during the school day. Childhood obesity is on the rise and should be taken seriously. Since our children spend the majority of their formative years in school, wouldn’t it make sense that parents would want the healthiest food options available to their growing kids? The CDC also reports that the percentage of children and adolescents affected by obesity has more than tripled since the 1970s. Credible data shows that “nearly 1 in 5 school age children and young people (6 to 19 years) in the United States has obesity.” Ultimately, this could lead to future generations being more at risk of cardiovascular disease, diabetes and early onset dementia. “Children in the U.S. ate 67% more whole fruit from 2003-2010, but the amount of vegetables they ate remained unchanged”, according to the latest Vital Signs report by the CDC. As parents we need to be more proactive at home and more involved in our children’s school life. When parents and faculty start to chime in and advocate for the return of healthier foods in schools, it is more likely that they can effectuate positive change. We can also do our part by introducing healthy eating habits at home. This will increase the chances that our children will make healthier food choices when they are away from home as well. Pack a Lunch & Get The Kids Involved! It may be time consuming, but the benefits far outweigh the added effort. This is also a great time to get your kids involved and get them comfortable with packing their own lunches. Push raw vegetables and fruits, whole grain breads and healthy dips like hummus or almond butter. Here are 41 Quick and Easy School Lunch Ideas to help get you started. Replace Sugary Drinks with Naturally Flavored Water. The keyword here is ‘naturally’. By ‘natural’ I mean introducing actual fruits or citruses to glasses of water to organically add vitamins and minerals. Try adding lemon wedges, limes, strawberries, blueberries or even cucumbers to help give your water a little kick and flavor. Plus your kids will love the extra pop of color it adds to their water bottles. And of course, ditch the soda, sports drinks and energy drinks. They are generally loaded with sugar and are a contributor to childhood obesity. Teach our Kids the Benefits of Eating Colorful Foods. Children love bright colors and that can come in handy when trying to teach them about new foods. Red, orange, blue and green foods all have their own nutritional attributes including phytochemicals and are a great source of nutrients for both you and your little ones. Try to get our children accustomed to eating a rainbow of fruits and vegetables. This will set them up for a lifetime of healthy eating habits that will help them combat diseases including obesity for years to come. (For more information on how to keep our kids healthy, read here). And finally, never overlook the importance of nutritional testing to identify those nutrients that may not be balanced. Too much or too little of any nutrient like vitamins, minerals, water, fats etc. may contribute to poor physical and mental health.